Remote video surveillance cameras can be viewed from anywhere. They store what they have monitored in a video file, and save that file to a hard drive in a personal computer or Web server. The video feed from these remote security video cameras can then be accessed by a laptop computer or a personal communication device, such as a cell phone or a PDA. Remote video surveillance cameras can be viewed from anywhere. They store what they have monitored in a video file, and save that file to a hard drive in a personal computer or Web server. The video feed from these remote security video cameras can then be accessed by a laptop computer or a personal communication device, such as a cell phone or a PDA. Most remote security cameras come with some software that allows these devices to view the video file, such as a media player or an attachment to a Web browser. Some remote security cameras include an option that will alert the user via email if the camera detects activity. Some remote video surveillance cameras have the option of being remote-controlled by a user. This is usually known as the Pan/Tilt/Zoom or PTZ function. This function allows cameras to monitor a wider range of space than they normally could. Dome cameras take advantage of this function when they become remote security cameras. Their one-way vision glass keeps criminals confused about where the remote security camera is viewing, causing uncertainty in addition to providing the camera with protection. Remote video surveillance cameras are particularly useful for homeowners, who may not be able to monitor security cameras full-time at their house. IP security cameras can be connected directly to a network with an Ethernet connection (Cat-5). 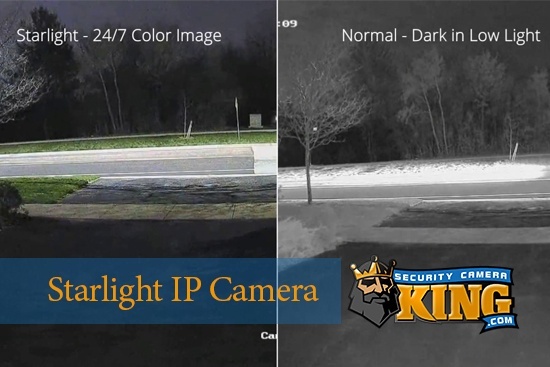 Our IP cameras have built in video servers so that surveillance video can be viewed directly from the camera over the internet using Internet Explorer. There is no need for a DVR or video capture card in order to broadcast the surveillance video over the Internet. Our Digital Video Recorders or DVRS turn any CCTV camera (with a standard BNC output) into an IP based network camera (Ethernet output). 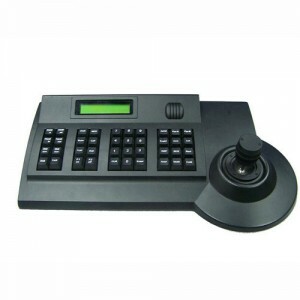 The same web browser screen and controls are used for both of these great IP surveillance products. Our DVRs (and therefore the cameras that are connected to them) are fully accessible using and 3G or 4G smartphone as well. Network video servers, also known as IP video servers, turn any CCTV camera (with a standard BNC output) into a network security camera (Ethernet/CAT-5 output). The purpose of a network video server is to translate the analog signal from CCTV cameras into a digital and IP based video stream capable of being broadcast over an IP network. IP video servers have built in software that allows users to connect to their cameras through a standard Internet Explorer web browser. Some video servers also allow you to connect to your camera using NVR software (network video recording). Either way, the Internet is a major player when it comes to remote video surveillance cameras. Another type of remote video surveillance camera that we should mention here is the baby monitor. Just about all baby monitors are remote since that is the major idea behind them in the first place. Baby cameras usually do not contain DVRS. There generally is no need to record the child’s actions as baby monitoring is usually done during real-time. However, in place of a DVR these units normally come with a small LCD screen monitor that can be held in the hand and contains its own receiver to pick up the signal coming from the camera in the baby’s room. There are also remote video surveillance cameras that are designed totally for covert used. 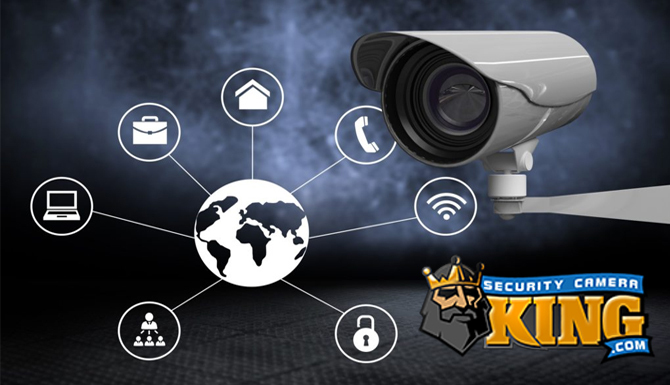 For example Security Camera King offers hidden or disguised wireless cameras designed specifically for covert applications. For example we offer a button cam that is worn on the individual. While this camera may not seem like a remote camera it often has an antenna that transmits back to a home base or the DVR . 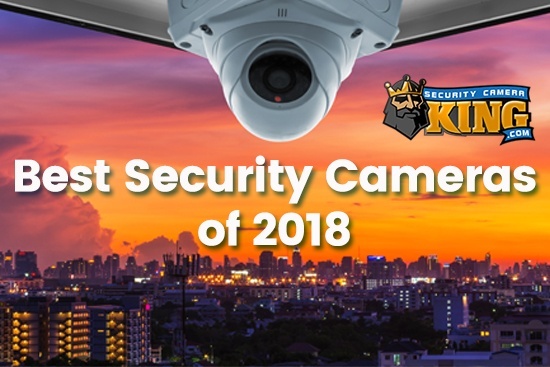 If you have specific questions regarding remote video surveillance cameras or are considering purchasing one, contact one of our security experts and they will be glad to assist you. You can contact them by Live Chat or Telephone.